The Welsh Corgi is an even-tempered dog that adapts well to its surroundings. Handsome and strong, Corgis are capable of speed and endurance. While they are excellent heel-nipping cattle drivers, Corgis are also affectionate with those they know and love. 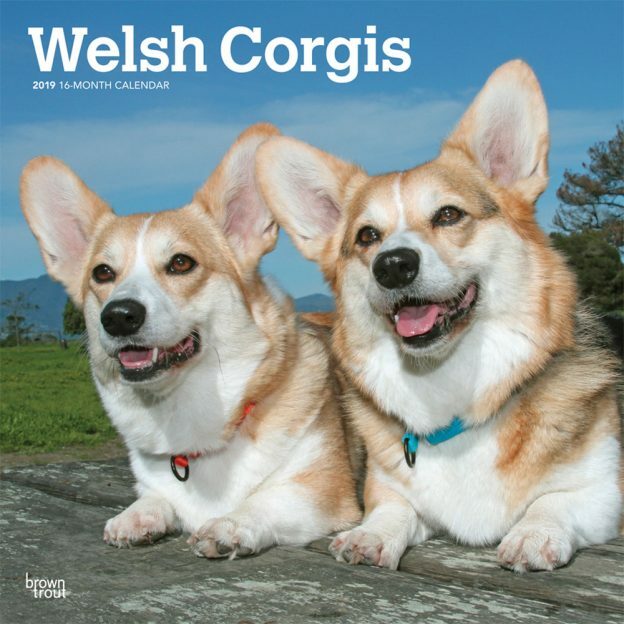 This Welsh Corgi wall calendar features both the Cardigan and Pembroke breeds. A delightful addition to any Corgi family, this square calendar is a must-have for the new year. This calendar includes a free download of the DogDays™ app for the smartphone and tablet, which grants access to the world’s most captivating dog photos and backgrounds, fun puzzles, and a calendar featuring your favorite furry friends. This entry was posted in Calendar Showcase, Dog Breed on March 16, 2019 by dogdaysapp.